Boogie on down for a 70’s Disco Party or bump hips with a funky Abba Party! Here’s some advice and tips for holding a party that your guests will surely love. The 70’s are renowned for being everything from fun and wild to tacky and hilariously tragic. The Seventies have a great deal of nostalgic value and are perfect for a costume themed party. Abba was one of the great icons of the 70’s so you could have an Abba themed party. Abba inspires not only great costumes but also great music that everyone loves – even if they deny it! Costumes for the 70’s can be fun, colourful and not to mention Daggy! 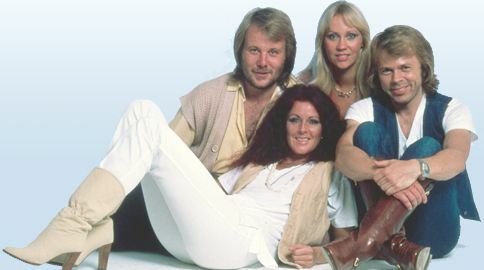 An Abba look is as simple as wearing a white suit or dress and finding the appropriate wig – for both the guys and the girls! Find as many Abba film clips as you can to get inspiration for you costume. A long wig would be perfect for a Seventies party. Moustaches and beards were also popular during this decade. Grow one out for the party or find a fake one from a costume store. For clothes, use familiar favourites like Safari Suits, Bellbottom Flares, and jackets with tassels on the sleeves, suede and crushed velvet. A 70’s style costume can be as simple as wearing a tracksuit and a headband. You could wear a Caftan or a Muumuu dress for a casual but daggy look. Clogs, platform shoes and Converse sneakers are perfect footwear for the night. Make your own Disco floor by taking large sheets of cardboard and taping them together. Try to use as many bright colours as you can, setting them out in squares. Try a party supplies shop to see if you can find a disco Mirror Ball to hang from the ceiling. Give the house a 70’s feel by using large colourful rugs and draping them over the couches and furniture. Add to the look with bold vases and bowls. For a tacky Seventies look, you could even cover the couch in plastic sheeting. You could try an opportunity or thrift shop to find old framed prints. See if you can get hold of classic pictures like J. Bragolin’s infamous "Crying Boy" paintings or even an old crushed velvet black light picture. Use bold clashing colours that were favourites of the 70’s, such as orange and lime-green, yellow and brown, and other mismatched colours. For a fun, cheeky touch, leave a bowl on a coffee table and fill it with plastic keys bought at a toy store. Make it reminiscent of the infamous Key Parties of the 70’s. Fondue was all the rage during the 70’s. Try to find a fondue set and serve a cheese fondue or melted chocolate for the guests. Cooking was at the height of its popularity in the 70’s. Find an old cookbook and follow the recipes. Many of them might seem dated but they’ll also bring back memories for a lot of guests. Serve food that was popular in this decade like quiche, meatballs, casseroles, skewers and other classic meals. Have a disco style dance-off and play some of the great favourites from the 70’s. Play cheeky games that were favourites of this era like Twister, Spin the Bottle and other popular party games.